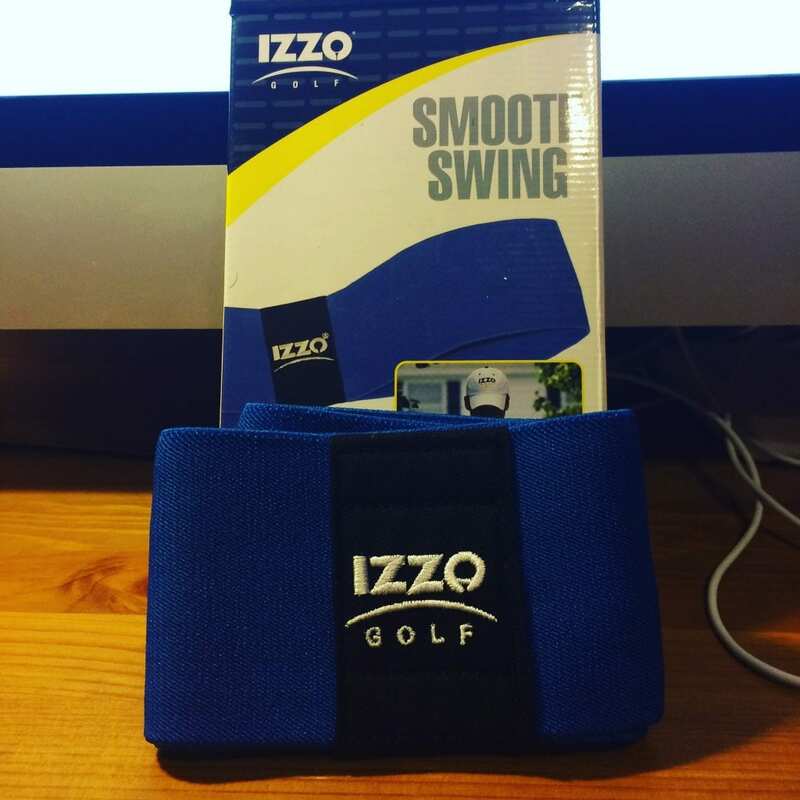 I shot a quick Izzo Golf Smooth Swing unboxing video yesterday right after I got it in the mail. This was an absolute impulse buy, as I was looking for other items to feature on Golfer Geeks. It makes perfect sense, though from a personal standpoint. 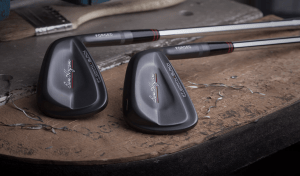 If you read Golfer Geeks at all, you know that I feature Ben Hogan pretty prominently. I picked up his book- Ben Hogan’s Five Lessons– a couple months ago to review for the blog. It’s a classic golf instruction book that I’m actually using to improve my game. As I say in the video, one of the fundamentals Ben Hogan emphasizes is the relationship of the arms to each other and to the body. He wants you to have them as close to each other as humanly possible at address and throughout the swing. This is easier said than done for me since it isn’t something I’ve necessarily focused on in 25 years of playing golf. I want every advantage I can get in learning his method for a repeatable and effective golf swing. While I’ve long thought that staying “connected” during the swing is vitally important, I didn’t really have a way to drill this into my game other than really trying to keep my right elbow attached to my right side during the swing. The times when I’ve played best I definitely had the connected feeling and the swing felt almost effortless My striking was very solid, my distance was outstanding, and my accuracy was pretty good too. It was Anthony Kim that was my model during this time. He had a very tight (tidy) swing that generated plenty of power and was deadly accurate. Anyway- I want to get that “connected” feeling back. I want to keep my arms in front of me, working as a unit, and use my core to hit the ball instead of swinging at the ball with my arms. I think the Izzo Golf Smooth Swing will help me do it. I’ll keep you updated in these pages and on YouTube. 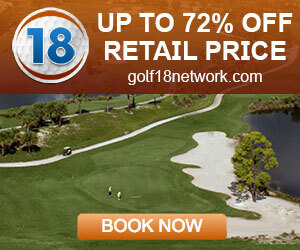 You get the Izzo Golf Smooth Swing from Amazon for a cool $12 bucks. 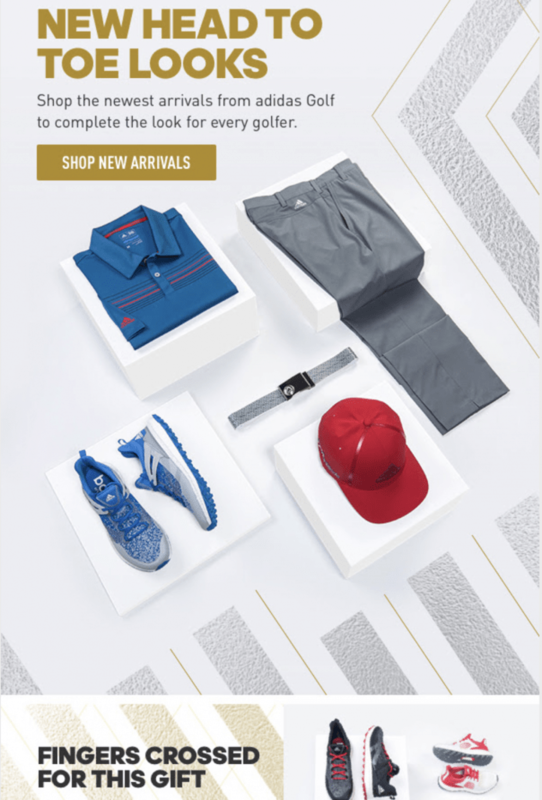 I’ve got to pass on these Christmas season offers from my favorite golfing apparel manufacturer, Adidas. From their shoes to their hats, everything they put out looks good, fits well and can be worn off the golf course as well as on. I very recently purchased a pair of their Climalite pants, 4 pairs of Climalite shorts, and Tour360 shoes. I gotta say I’m very pleased with every item on the list. The pants and shorts are made for movement, as you would expect from apparel designed for the active golfer. The shoes are light, comfortable, and look good too. I didn’t use Adidas coupons for this purchase, but you can bet I will whenever I get the chance.